Frank Winfield Woolworth’s brain child was Woolworth retail stores. They were the pioneers and trendsetters in America for the largest number of stores. It was in 1878, when the first retail store was opened by F.W. Woolworth in New York. However, it was not able to make success yet they opened the second store in Pennsylvania in 1879. These stores were opened by the name of Woolworth’s great five cent stores. The stores at that time followed the practices like customer relationship, developing merchandises, direct purchase of the goods and also the sales. The stores got famous in America and United Kingdom. It is said, That Woolworth stores are registered in Guinness Book of world record for completing 100 years in retail in 1979. The Woolworth stores were successful till the time other retail masters pitched in, henceforth, they started realising that the retail giant is fading and going in loss. The decline started as they started focussing on speciality stores rather than on the supermarket chains. Therefore, in 1997, they decided to shut down the operations of retail and started the new division of sports goods. Though the Woolworth retail got shut, yet the name is legally taken by the Australian company which operates in Australia and New Zealand as the retail giants under the name of Woolworths Super market. They took the name to in cash the name of Supermarket giant F.W. Woolworth and also to connect to UK and US market. At present Woolworths Limited, is the biggest retail and supermarket giant in Australia and New Zealand. The category is deals with the impact of Government policies on the growth and working of a particular organization. ( Begg, D. and Ward, D., (2004)). Government policies can have strong consequences on the working and trading of a business. Policies related to FDI will have an impact on the entry of store into the Brazil market. If policies turn out to be liberal then entry become easier. But in case of stringent FDI policies the entry of this store in the country will be tough. Foreign Direct Investment policies are very liberal in Brazil. The Brazilian government is open to the foreign investments in the country and also encourages the inward investment in the country. Brazil is emerging as a third highest economic giant in the world, therefore it is important for them to have open hands for the investors from different countries. The FDI policies have made the companies invest in industrialization, services and also in technologies (chudnovsky, d & a. López March 1999). This all is possible because the FDI regulations do not differentiate between the foreign investments when the policies were made. Also, it is one of the important policies of the government that they will not differentiate among the national and international investors. Therefore, this will make the country reachable for investments by foreign investors. Therefore, it will be easy for Woolworth to get into the market of Brazil. With the help the FDI policies country will get international competitive among the firms and will also affect the economic growth of the country. The FDI regulations are such that they allow the foreign investors and to encourage them they have incentives also for them, like, low tax for the investors. The broad objective of the country is to get the investors from around the world as it will increase the market share. Brazil is termed as a developed country, because of the liberalization of foreign investment policies in the country. It has given a platform to lot of companies from around the world to invest and grow in the country. Apart from this, the government policies have also made the way for the foreign investors in Brazil. Foreign investment in Brazil is the destination for the foreign investors because of its large market, resources availability and the expanded industrializations. The government laws and FDI regulations are quite liberal in the country except for investments in health, mass media and maritime. The FDI policies of allowing foreign investors in the country will not only increase the economy of the country but also the people of the country will be able to take the advantage of the same, as more job openings will be available for them. With Woolworth entering the market of supermarket in Brazil, the competition among the supermarkets will get tougher. The effects will be both positive and negative. Some of the positive effects will be that the company will not only provide the choice to its customers but also the choice of the timing when they can visit the stores. Though they provide lot of job opportunities to the local people yet, it affects adversely to the people working and managing local centres or shops, this will act as a negative effect. People start doing shopping from the marts leaving the local stores (Seth Andrew & Randall, Geoffrey 2001). Local stores generally charge more than the supermarkets because of more taxes they have to pay and also there are number of buyers and sellers involved. If we compare this to supermarkets, they purchase directly from the farmers and local people therefore having the prices on the lower side. If the Woolworth will start its services in Brazil, it will definitely give more choice to the people to shop but it will take the opportunity from the local people to sell their grocery items. Though it will give job to the people yet it will leave lot of people jobless or will ruin their local businesses. The new supermarket will provide bread and butter to lot of people. Another plus point in the favour of Woolworth is that the supermarkets are generating not only full time jobs but also the part time jobs and prefer the women to take up the part time jobs. The people who work don’t only get the job but get immense amount of on the job training to meet the customer satisfaction. This will give the motivation to the workers to continue working. But if the employees taken are literate and have the knowledge about the product, the training will not help and motivate them. One thing is evident, if the Woolworth is allowed in the country, it is definitely going to create negative effect on local retailers, as they will be largely unemployed and it is difficult to absorb them in the local manufacturing unit. Since the unemployment will be created, it is a possibility that the crime rate to increase (motta veiga, p & r. Iglesias 1997). These were some of the negative effects; however, the possibility of positive effect is also high, as Woolworth will get high quality products and the wide range of products to the consumers. It will have better transportation and storage facilities for the goods. The entry of Woolworth in Brazil will add to the globalisation and modernization of the country. It will promote the tourism and also the ability of the government to influence the trade in the country. Therefore, we can say if there are negative effects, there are also the positive effects which can help the Woolworth to enter the Brazilian market. The Woolworth’s entry in the Brazilian market will have both positive and negative cultural effects, which would decide whether the entry should be permitted or not. If we talk about the positive cultural impacts, they would include the shopping experience. People coming to the Woolworth can experience ultimate shopping experiences as they will get all the grocery products from all over the world under one roof only. The shopping will become very easy for the people. They will not have to go to different shops to buy different products as the store will have all the products and at the reasonable price (Krugman, P. (1995). They will also experience the world class customer service. This will make them come back to store time and again. It will also change the perception of people for the shopping. Woolworth will not only cater to local and region specific people but also to the people from different culture who wants to buy products of their regions. For example, a person from Indian origin will get what he or she gets in India as well. Now the negative effects that can be generated are that the loss of local values of culture. Since people will be more attracted towards the products from around the world, it is a possibility that local products are not taken into consideration, thus affecting the demand of the product. If we talk about another positive effect is that, Woolworth is one of the few retailer that provide organic food and have set the trend for same in other countries. Since it will provide organic food, the chances of domestic players fading will increase, as in today’s era, people prefer to buy the organic products. The Woolworth will give them the opportunity to buy the healthy product, which they might not be able to get outside in local stores. The Woolworth store will cater to the cosmopolitans in the country. The starting point of any economic system gets back to one basic mechanism: demand and supply. Demand takes place because of two main reasons 1) There are different needs of different individual and 2) The individual actually wishes to have something. Because of this second reason the large markets of any economy faces serious shortage problems. In all the cases of demand exceeding supply there will be a clear problem of shortage in the economy. This is what exactly is happening in the market of United States. There can be cases of disequilibrium where demand does not match the supply (Hiratuka. Celio. 2008), what should happen to demand if supply is quite less in the market. In that scenario demand can never be equal to supply and there will surely be an increase in price rise all over the market of particular good (Agosin, M. and R. Mayer. 2001). Demand and supply are governed by two laws of the market, called Law of Demand and Law of Supply. Here we consider the situation in which Woolworth is trying to enter the market in Brazil and Wal-Mart stores already exist in the market of Brazil. We check how Woolworth should take its economic decisions on the basis of given oligopoly structure. Each firm has a good and large part of the market on their sides even the slightest Change in behaviour of one firm will cast a large impact on the demand curve of Others firms. This is the reason that the firms do not have very static demand curves. For instance if Woolworth changes its price, Then Wal-Mart demand curve will surely be affected and vice versa. Due to the dependence of behaviour of one firm on the behaviour of other the output Determination by analysing the firm’s costs and the firm’s demand curve is difficult (Igor Ansoff (1957). Suppose Wal-Mart can work out its own best price and output, but then Woolworth can also make some reaction and change its own best price or output. This change will have an impact on Wal-Mart demand curve and thus Wal-Mart calculated best price and output are no longer valid. The behaviour of Woolworth is very much dependent on Wal-Mart and Wal-Mart will have to adjust its price and output accordingly. If Wal-Mart introduces a price cut then it will influence the demand and sale of Woolworths. Woolworth being a very close competitor will face shifts in its demand. 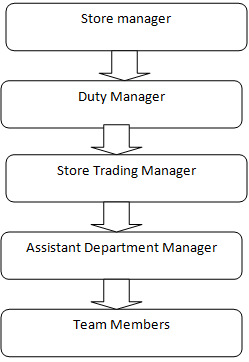 Each departmental store has a hierarchy that they follow which is responsible for the operations of the store. The hierarchy includes the Store manager, duty manager and store trading manager (John McMillan 2008). These people are responsible for motivation, training, supporting and mentoring their team in day to day work. They are responsible for achieving the budgets that are formulated by the company and also selling of products and customer service. The department manager is responsible for the specific departments. They take the care of the specific department and are responsible for communication with the customer, customer satisfaction, staffing, roster planning, stock control, order of stocks and merchandising. Duty manager works in the absence of Store manager, that is, when store manager is off shift. The team management is also responsible for human resource and finance also. Store manager is responsible for motivation, mentoring, sales, profits of the department and the team. Store manager also ensures smooth operations in the store. Store trading manger: they ensure that the customer gets highest quality of products at the efficiently managed time. Assistant department managers ensure that the customer are served in best possible way and prompt services. The team members are responsible for day to day work, handling customer requests, assisting the customers during their shopping and also the upkeep and cleanliness of the store. The store will operate in two shifts, morning and afternoon shift. The team members and the assistant departmental managers do the shifts on the rotational basis. The store manager will do the general shift from 1000 hours to 1900 hours. The working hours may increase in case the department is busy and have lots of customers. Wal-Mart and Carrefour are the two international retail giants in Brazil, which have created the niche in the Brazilian market. With Carrefour on number two position followed by Wal-Mart at number three in the country. Therefore it becomes imperative to know the strengths and weaknesses of the competitors. The below report will give the understanding of strengths and weaknesses of Wal-Mart and Carrefour. Wal-Mart has its own global communication system through which people can trace the sale of any item in the world. It has one of the best intranet systems in the world. Wal-Mart has become a global giant, as it is opening stores worldwide. It is expanding by opening new stores and also by acquiring the other stores. The stores offer very less price on the items and especially in the discounted stores, where the prices are lower than the cost price. 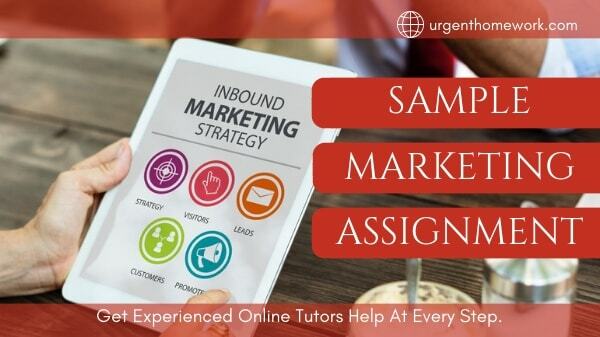 This strategy has helped them a lot in gaining the customers. Another strength is their people management, they keep the staff motivated at all times, this has happened because they do not consider their staff has subordinates but treat them as the associates of the company (Neumark, David, Junfu Zhang and Stephen Ciccarella, 2005). The company’s public relation is deteriorating; it has been criticized not only by the customers but also by the competitors (Basker, Emek. 2007). It is believed that Wal-Mart discriminates in the job. The company has given decision making powers to their managers, therefore, leaving the company in a chaos as each store in it is a mini corporation and since the centralization of the company is missing, it is difficult to manage such giant company. Wal-Mart focuses on different brands and products therefore they are not able to give full concentration on one of the services. This act as a loop hole for the competitors for specific products. Carrefour is the world second largest retailer with international stores worldwide and also have large market share. They have a strong and a strict policy on cost control. They have a concept of “everything under one roof”. Carrefour stores offer comparatively lesser price to their customers. Carrefour are generally located in a strategic locations like within the city. They are generally centrally located. This helps the customers in two ways, one that the travelling time and cost is reduced and secondly they find everything under one roof. They are growing on large economic scale, with the speedy opening of stores around the world (Burt, S. 1998). They have surpassed the amount of stores of Wal-Mart. Therefore that is the reason they have cut down on the costs and have comparatively lower pricing of the products. The Carrefour had come up with the idea of having own brand label of high quality product, so that both the parties, customer and Carrefour will be benefited out of it, however, this did not happen. Customer considers the self branded products as low end products. Therefore, the customers were not able to build a trust on the products and could not buy them. This is one weakness, as they sell their own brand products also. The quality of service is also low. Carrefour charges hefty admission charges to the suppliers, which at times leave the supplier suppressed. The company has a monopolistic behaviour, which has to be taken into consideration as these days neither the suppliers nor the buyers prefer the monopolistic environment. Therefore, as per the analysis of competitor’s, Wal-Mart and Carrefour, both have their strengths and weaknesses. Woolworth has to make their weaknesses the strengths for themselves, if they want to succeed in the retail world in Brazil. These two are the biggest competitors. The above analysis show that how difficult and easy the entry of the Woolworth store. We takes into consideration the political, economic, social issues. There are different issues related to these which determine the entry of Woolworth into Brazil. Paper also discusses how changing scenarios affect the sustainability of store. How different and new the organizational structure of the company is and how can it help the organization to build its efficiency. Lastly we also discussed the competitive threats to the organization and their strategic move. CHUDNOVSKY, D & A. LÓPEZ (March 1999). “Incentives and Policy Competition for Foreign Direct Investment. Hiratuka. Celio. 2008. “Foreign Direct Investment and Transnational Corporations in Brazil: Recent Trendsand Impacts on Economic Development. Basker, Emek. 2007. "The Causes and Consequences of Wal-Mart's Growth.